Good day to all members!!! SSS ID is one of the legally accepted primary government ID’s that members can use to make any transaction where it is needed. You can use it in many ways and means to your advantage if you have one. Sadly, these days, it seems very hard to undergo processing of application due to the fact that many SSS branches in the Philippines and particularly in Metro Manila have down system or otherwise, defective capturing machines. 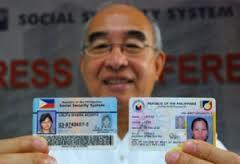 Printing of the said ID has also gone wrong which caused the Social Security System to go zero on the service of members looking to secure and apply for a SSS ID. For this reason, it’s been years before the system resumed but here we are, still having problems with defective machines and another fact that not all branches cater to application because of lack of ID capturing machine. These misfits have led members to question the service of the Philippine government knowing that it’s almost 100% automatic that all private employed workers get deducted from their salary, the monthly amortization contribution which becomes part of their static information as a paying, legitimate and qualified members of the social security. In aid of helping all SSS members whether locally employed or working abroad (OFWs), SSSPhilippinesOnline.Com is launching and nationwide information dissemination regarding the overall and complete procedures that a member must endergo SSS ID processing. This information will include the fees and charges to pay, documentary requirements needed to qualify and where to apply. This way, we may be able to help prevent loss of interest, time, money and effort by SSS members when applying for a SSS ID, now called as the Universal Multipurpose ID (UMID).UMID services includes PhilHealth, GSIS, Pag-Ibig and SSS. This car may be used nationwide wherever you are in any of these listed government agencies. We have enumerated the complete process on how to apply for the said identification card. These step by step procedures apply in Metro Manila, Philippines, in provincial branches as well as SSS branches abroad for overseas Filipino workers, migrant workers and permanent dual citizen Filipinos who might still be looking to activate their social security accounts any time. Good luck to all and MABUHAY! 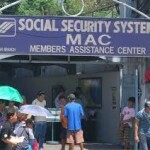 How to Qualify to Apply for SSS ID? 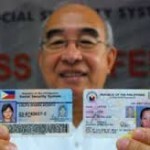 To qualify to apply for the SSS ID, you must be a paying member with at least 1 year contribution. This ID does not expire so you can use it for as long as you want in any kind of transaction where it is needed anytime. Considered as a primary ID, this may serve and first hand valid identification card for the member with any private and government agency inside and outside of the Philippines. Viewing of monthly contribution, benefit claim and loan status may be done anywhere you can find a SSS kiosk machine by simply swiping the card. Gives you a bit more of the security whenever curfew is implemented for identification purposes. You have a primary ID which can be used to support application of any government document like NSO, DFA passport, TIN, visa, LTO license, PRC license, SRC and seaman’s book, DSWD, Pag-Ibig, housing loan, car loan and personal loan and much more. 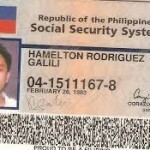 E-6 or the SSS ID application form equivalent. You can get this only from branches. Any 1 primary ID or government-issued ID – passport, license, visa, MARINA seaman book… etc. A substitute would equate to at least 2 secondary IDs – postal ID, NBI clearance, school ID, TIN ID, voter’s ID, Company ID, NSO SECPA marriage contract or birth certificate, police clearance, passbook, proof of billing and more. Prepare all listed necessary documents and requirements you can find above. Have all of them photocopied in advance. Get 2 copies each document to be sure. You can use it for other purposes later anyway. Look for a branch that allows ID application with a fully functional ID capturing machine (not all branches have it and allow application). Use Google maps to find the exact location or call their hotline telephone numbers (don’t expect to be answered). Submit all documents and requirements together with your completely filled up application form or E-6 for evaluation and assessment. At this point, your specimen signature will be taken and palm prints taken through a fingerprint capturing gadget. Be sure to have accurate and consistent signatures in the form. This will be used in the ID. Undergo ID capturing machine picture taking. You will be asked to choose if you want your ID delivered right in your doorstep or via pickup. In my case, I opted in for delivery since I am secured enough with my residence status in my current address. If you are not so sure to be staying at the permanent address you’ve provided in your application, be sure to ask if you can pick it up instead. An acknowledgement slip will be given to you with written consent on when and where to claim your finished ID (UMID) or you will be given delivery time to your current permanent address. Note: If you have a lost SSS ID case, same requirements will apply plus add an affidavit of loss that is duly notarized by a lawyer. On the other hand, for first time applicants, it’s absolutely FREE of charge. Lost ID will give you (based from my own experience) a Php 150.00 fee for the replacement. Disclaimer: All information fount on this website and specific post about SSS ID is subject to change without prior notice. We strongly suggest to consult with the right authorities first before any action is taken. Go to the nearest social security branch or talk to a customer service assistant by calling their hotline SMS and service below. This entry was posted in eServices, Forms, Hotline, How To and tagged hotline numbers, id application, sms numbers, sss call center. Bookmark the permalink. kindly edit your post regarding how to qualify to apply for sss id. instead of at least one year, the new rules of sss requires at least 1 month paying member to avail of the ID application. Magandang hapon po.ako po kssambahay lamang.mag 2years n ako na Wlng Sss or pillhealth.at s ngaun kylangan kn ang sss.tnx poh. I forgot my online password and i requested a password reset from the website but it is sending the information to my old email address which has already been deactivated.. Can i request the information to be sent on a new email? I want to know how much is the whole amount i should pay for my loan?it’s been so long and i forgot to pay.can i have it printed? please reply.thank you! What is your plan for SSS members living abroad and contributing? Can you arrange to set up a means where you can process SSS ID in Toronto, Ontario Canada? Thanks. How can get UMID card? Last year , sa pinas po eto nawala at andito po sa dubai ngayon , at magbabayad po ng contribution this year, 2014 by this mo. Po Nov. Tatanggapin pa po ba ? How many months po na contribution bago mka pag loan sa sss?